PAXTON/LEHIGH ACRES, FL - Lucille "Ceil" I. (Martin) Tanner, 91, died Tuesday, March 19, 2013. 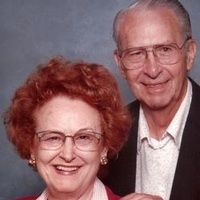 Her husband, Charles "Chuck" G. Tanner, 89, died August 4, 2011. They are survived by three children, Sandra A. Coleman of Oxford, Mary J. Tickel and her husband Robert "Bill" Tickel of Apollo Beach, FL, and Charles G. Tanner III and his wife Sandra of Auburn; three grandchildren, Donell R. Coleman of Clearwater, Jeremiah Tanner of Hebert, NC, and Lindsey Norrgard of Holland, MA; and two great grandsons, Jordan Coleman of Worcester and Eric Norrgard of Holland, MA. In addition, Mrs. Tanner is survived by her brother, Paul Martin of Connecticut. Mrs. Tanner was born in Bridport, VT, the daughter of the late Joseph and Agnes (LaFramboise) Martin. She was an artist and owned her own studio where she taught Early American painting and was a member of several painting and antique organizations. Mr. Tanner was born in New Castle, PA, the son of the late Charles G. and Grace (Noss) Tanner. He was a U.S. Army veteran of World War II with commendable service in the Communication Corp in the Aleutian Islands of Alaska. He retired in 1987 from Uniflow Manufacturing Co., Erie, PA after 41 years of service. Mr. Tanner loved wood carving and was a self-taught artist. They were former members of Christ the King Church in Worcester and St. Columba Church in Paxton. Prior to moving to LeHigh Acres, FL, they lived in Paxton and Worcester. A graveside service will be held at 11 a.m. on Tuesday, March 26, 2013 at Worcester County Memorial Park, 217 Richards Ave., Paxton. Please meet at the cemetery. Calling hours are Monday, March 25, 2013, from 5-7 p.m. at Paradis Funeral Home, 357 Main St., Oxford. In lieu of flowers, memorial contributions may be made in their memory to your local hospice.